Welcome to the 611 Squadron website. Here you can find detailed information, pictures and history on everything from the air and ground crews to the aircraft, the bases and the activities of the 611 (West Lancashire) Squadron. In the News section is a continually update archive of recently discovered information about the Squadron. 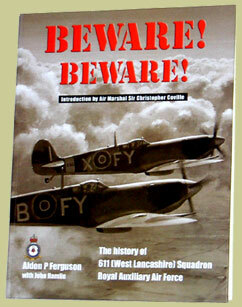 The history of the 611 (West Lancashire) Squadron Royal Auxiliary Airforce is available to buy from Airfield Publications. See the Book page for more details!